It might seem strange to even mention the term Price Reduction during this remarkable summer run. With sales popping and records breaking and everyone in the Midwest clamoring for a vacation home in Lake Geneva, why would we even bring up such a thing as a price reduction? It’s a wet blanket, really. It’ll throw off our momentum, ruin the buzz from this Kool-Aid fest. The agents who vie for your attention don’t want you to think about price reductions, they want you to think about how you can buy that home NOW! 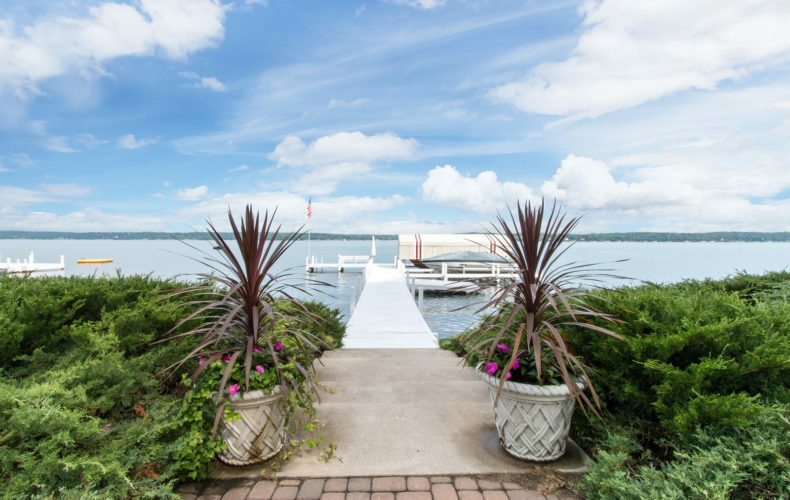 Need help figuring out how to win a bid on a Lake Geneva area home? You’re in luck, some agents are holding seminars to teach you (YES YOU) how to win the bid. But this is all ridiculous, really. The truth of our market is that it’s hot, yes. All price segments are hot. All categories and sub-categories. Except vacant land in Geneva National, of course. A lot just sold there last week for $4000. That’s the price I paid for a 1986 Saab 900 with a questionably service history and 130,000 miles, which, in Saab miles, is at least 1,000,000. Every other market is hot, every home in demand. So why talk about Price Reductions? Well, silly, because ’tis the season. See, smart sellers know that while our market is active for each of our 12 months, there will be a dip in overall activity once school starts. Knowing this, sellers with relatively aged listings are faced with a decision. Reduce now or reduce later? If they’re smart, they’ll reduce now, while there are a few extra buyers in the market. Something I’ve heard often this summer is a buyer’s plan to wait until the off-season to buy. Prices will be lower then. This is the position of the uninformed, as Lake Geneva doesn’t cycle based on seasonality it lives and dies on inventory. If inventory presents in August and it’s right for you, then buy it. If it presents in January and it’s right for you, then buy it. Don’t base decisions on the color of our leaves. Still, sellers recognize the market will ebb and flow, and if a reduction is in the cards, now’s the time to make that move. Recently, I’ve been applying this to some of my listings, because I’m smart, and my sellers are smart, too. I dropped the price of my W4396 Basswood listing $500k to $8.495MM. 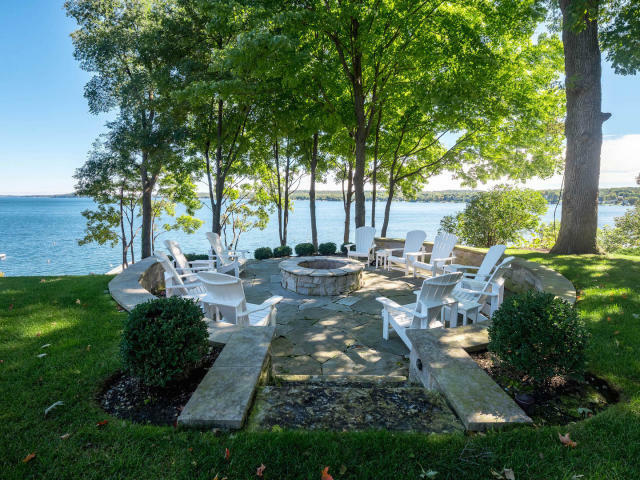 That home, by the way, offers value far and away better than the pending listing in Lake Geneva priced at $14.5MM. Far. And. Away. Like with Tom Cruise, but different. I just reduced my incredible Bay Colony offering to $879k, even after we came close with several different interested buyers over the past few weeks. Why reduce in the face of activity? Because activity only counts when the result is sold. Around the lake, there have been reductions. A new home on the north side of Fontana dropped its price not so long ago, as did a newer home on the south side of Fontana. I dropped my Clear Sky Lodge listing $120k. A home in Cedar Point Park that came to market earlier this year has been reduced several hundred thousand dollars, as that seller searches for a buyer. Off water, a home in Academy Estates has endured a series of micro-reductions this year, and a listing in Shore Haven just dropped in price last week. For all of the buyers claiming this is purely a seller’s market, have you considered any of these properties that are bleeding from self-inflicted chops? It’s August, and it’s still summer. In fact, this past weekend was one of the more active, glorious weekends of the entire year. In spite of this, sellers are making moves, and if they’re serious about selling this year they’re going to be adjusting their prices a bit. Consider the market this month, consider the aged inventory, and be on the look out for price reductions. And as always, let me know if I can help. Above, my Bay Colony Condo, just reduced to $879k. Tis the season for one of two things. Ambivalence is the most popular option for mid November. Why pay attention to the market when it’s just so easy to eat pie and pretend your weekends aren’t awful and boring? Sellers find and embrace ambivalence today as well, accepting that the market will slow to some degree from now through the earliest part of 2018. In spite of this holiday pause, there’s reason to doubt that several deals will come together over the next six weeks, as the market never actually sleeps. It just rests its eyes once in a while. Because of this, some sellers will remove their property from market (mistake), and others will just continue on as though everything is fine (it likely will be). But some sellers are November price cutters, and those are the sellers we’re looking for. Last week I dropped the price of my large Basswood estate from $9.75MM to $8.995MM. This is a meaningful price drop, and it wasn’t easy to achieve. Buyers in this strata should take another look at this property, as it offers too much to be ignored. Large frontage, deep property, perfect location. 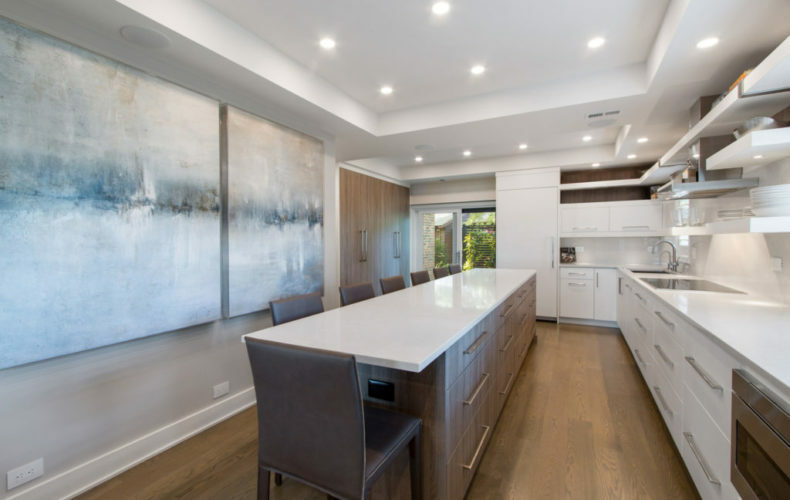 The house itself is large, easy to understand, and ready to host an easy surface renovation. There are many estates on Geneva Lake. Many amazing estates. But there are very few that are complete. What do I mean by complete? I mean a property that’s large enough to feel important. A house that matches. A swimming pool. A guest house. A large pier. Combine all of those elements and you’ve got an estate. Basswood? It’s an estate, and I just put it on sale. Another listing of mine that’s been struggling to attract a buyer is my modern home on South Lakeshore Drive now listed at $1,095,000. I don’t feel as though I’ve done a very good job explaining this property to the market. It seems as though, after so much market time, the property should make sense for someone. I know it makes sense in the market. I know it’s a screaming value. The house sold during the prior peak for $1.5MM and change. The house sold at that level because of what it offers. Immense and rare privacy. Loads of square footage over four finished levels of living space. Transferable boat slip. Situated on the lake between massive estates, with lake views and nothing but a few trees between the house and the water. This is a lakefront house without private frontage, and it’s downright cheap. If I’m a buyer around the million dollar mark, this is a house I’m looking at. A tiny smear of lipstick and it’ll be a fantastic lake house. My new listing on Outing in Williams Bay ($1.699MM) is offered today at a reduced price after initially coming to market just under $2MM. These are the sorts of sellers you want to find. The motivated ones. It’s too convenient today for sellers to sit back and wait for the market to come to them. After all, there are several 2017 examples of this happening for aged lakefront inventory. But I’m writing today to buyers. I’m writing today to those you don’t want to throw caution to the wind. If you’re throwing caution to the wind, other agents specialize in that, not me. I’m assuming there are still buyers who want to find value, and if that’s you, then let’s chat. We can aggressively look for new inventory and pounce if it’s right, but I’d rather comb over aged inventory and see if we can find a seller who’s ready to play ball. The myth of this market is that every seller is overly confident and every seller is holding out. The reality of November at the lake (and December for that matter) is that there are still sellers who are ready to sell. They just need a value minded buyer (and that buyer’s dashing agent) to convince them that the time is right.